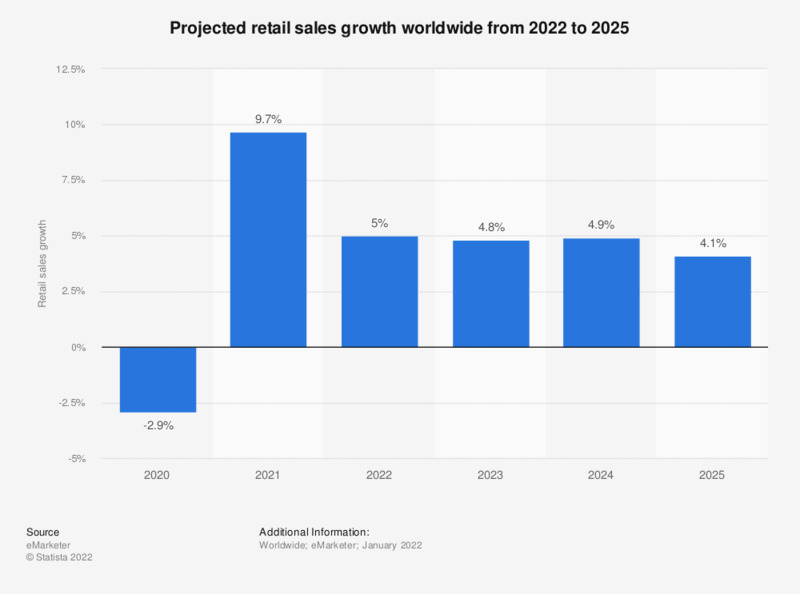 This timeline shows a forecast for global retail sales growth from 2008 to 2018. In 2016, global retail sales are expected to grow by 3.2 percent and eventually grow to 3.4 percent by 2018. The outlook for the global economy remains uncertain at best as consumers and businesses alike wait for clear directions on a range of economic risks, from the US deficit to the euro zone crisis. The European Union (EU) is forecast to contract in 2012 and to muster only marginal growth by 2014. Growth in the United States and China is also slowing. Although governments in both countries have introduced stimulus measures, any upturn is expected to be modest. While the pace of growth may have slowed, the retail industry is forecasted to grow. India, with its huge young population and growing income of the middle class, will continue to attract the attention of international and regional players. Asia will remain the main growth driver of retail sales even though their retail sales have slowed from their 9.6 percent volume growth in 2010, they are still expected to expand by a respectable margin in the forthcoming years. The estimated growth rate of the Asian/Australasian region is forecasted to increase by nearly 4.9 percent in 2018. Which in turn works out to a retail sales value of approximately 10.3 trillion U.S. dollars. All eyes are on prospects of China, by far Asia's largest retail market. In Japan, Asia's second-biggest market in terms of dollar value, retail sales will expand by a modest 0.6 percent in 2018. Figures for 2014 onwards are forecasts. Prior years are actuals or estimates.